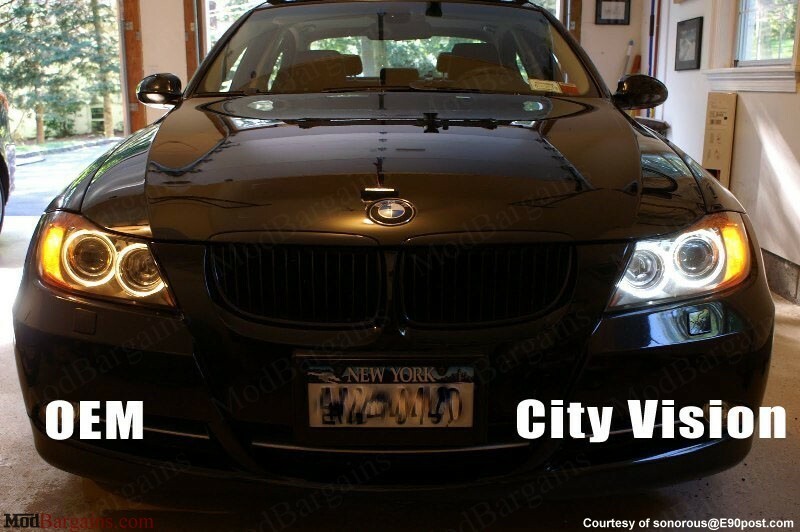 LED Angel Eye Bulbs for E90 by City Vision Lighting. 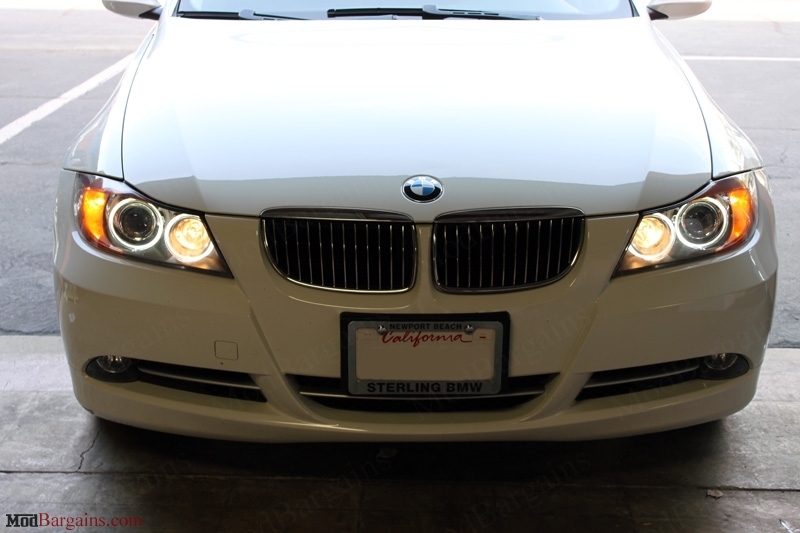 Give your BMW E90 a new and improved look by replacing your OEM yellow angel eye bulbs with 6 Watt LED Angel Eye Bulbs by City Vision Lighting. 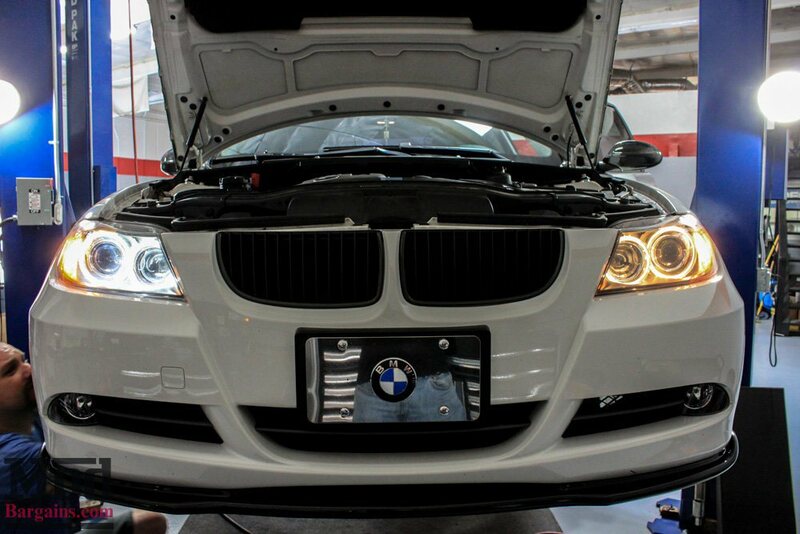 The City Vision LED Angel Eyes feature a 6 watt 6000K pure white LED bulb for a brilliant white light that will look classy on any color E90. 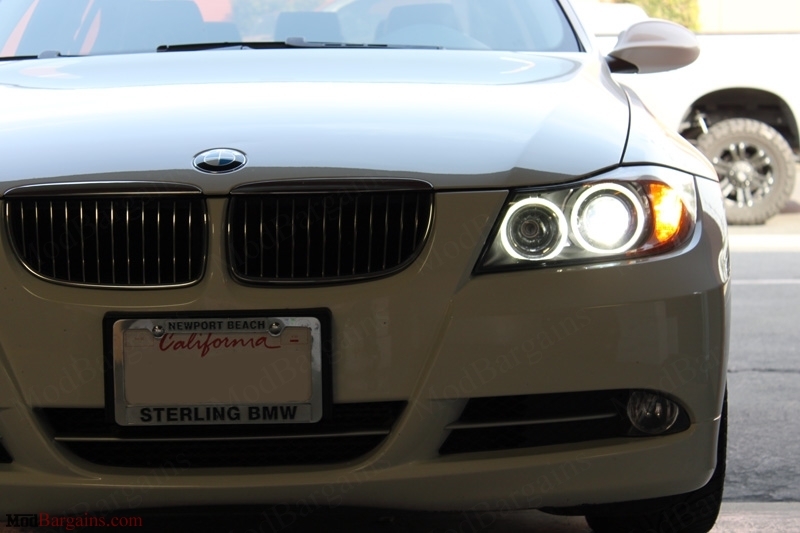 The LED Angel Eye Bulbs feature a dual LED design for improved brightness and more even light coverage when compared to other kits. 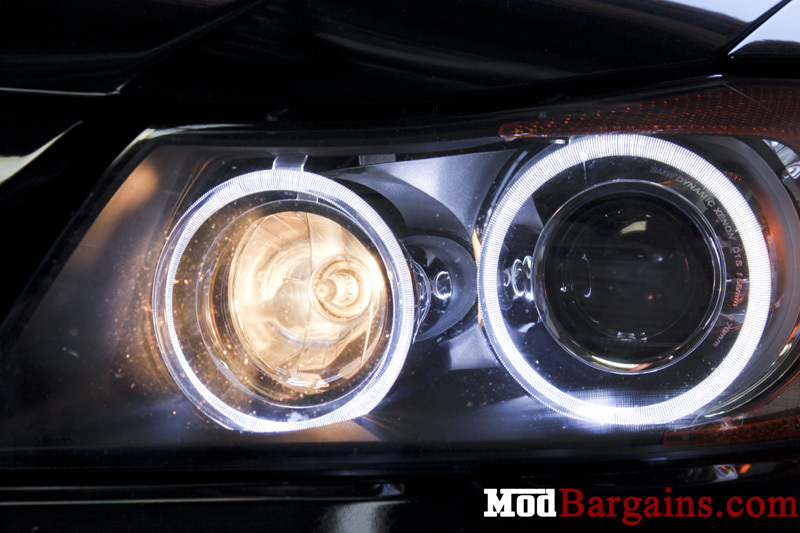 This kit is perfect for anyone looking to give their BMW E90 an update look with minimal hassle. 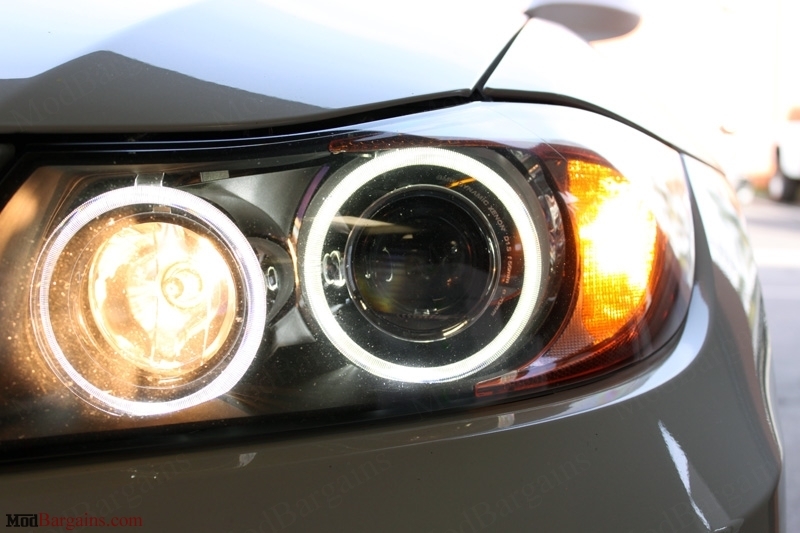 Each order includes 1 pair of bulbs which powers all 4 of your E90's angel eyes. 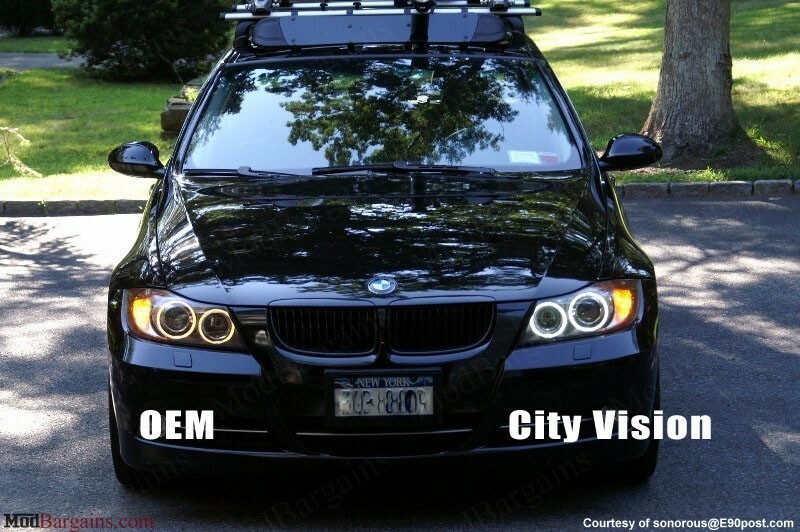 *Your vehicle MUST have OEM Xenon lights (HID) for the LED Angel eye kit to work. 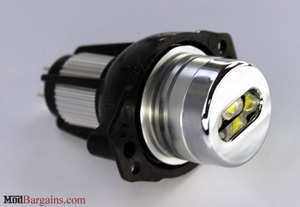 We also offer a 1 year or lifetime warranty available with the LED Angel Eye Bulbs. This warranty is all inclusive, and includes replacement of any part which has gone bad in the kit. 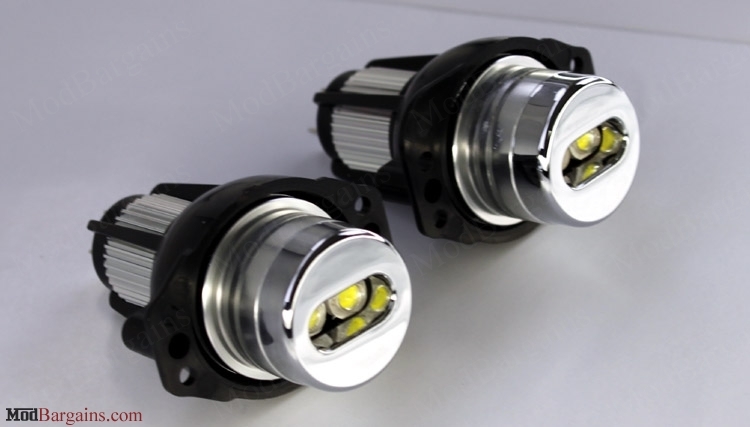 To install the City Vision Lighting LED Angel Eyes Bulbs removal of the front two wheels is necessary to gain access to the bulb location on the headlight. Once this has been done, simply remove the fender well plastic facing the headlight. 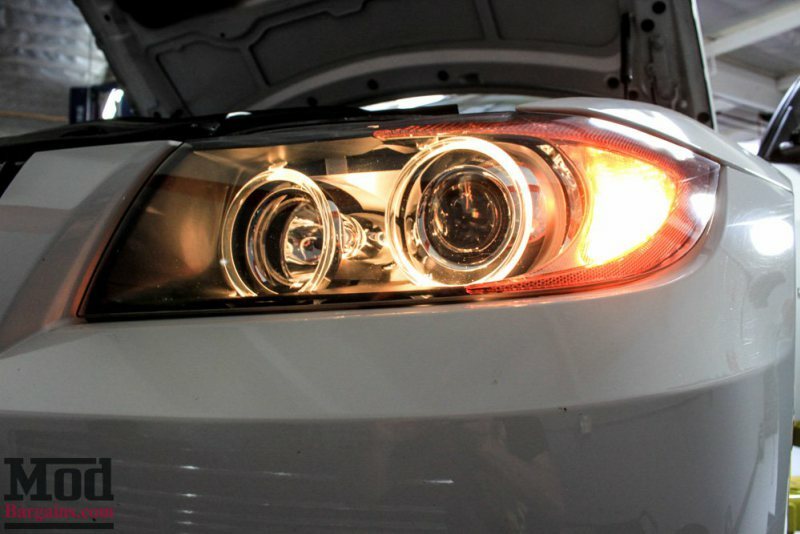 Next, remove the cap on the back of the headlight, and the old unit that is being replaced. 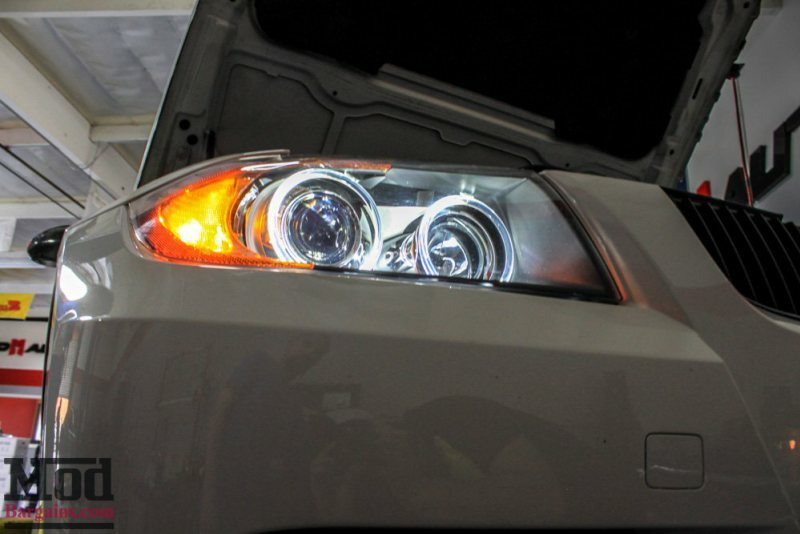 Then simply replace the OEM bulb with these new brighter LED bulbs and install everything back on, and your good to go.